The Fan Favorite from last week is this fun dresser-turned-tv-stand shared by Two Twenty-One. Great idea! 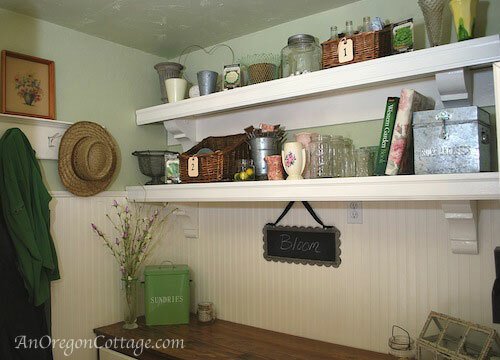 First up, I loved these great cottage mudroom shelves by An Oregon Cottage. So pretty and functional! We're gearing up for the Olympics at our house, and I loved these fun Olympic crafts for kids shared by AliLily. We're going to get our craft on before the games start on the 27th! Two Story Cottage shared her pretty wallpapered ceiling. 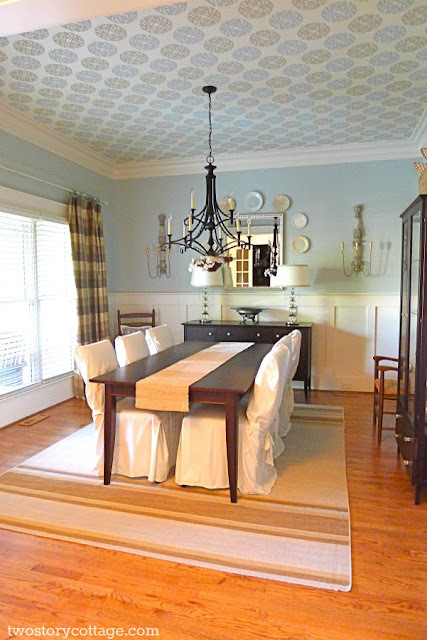 It really adds some fabulous interest to this room! I love your party and appreciate you hosting it so very much! I know they're extra work. I've got a question: you say you only feature those who link back: does it count that I do most of my party links on my party page and not actually on my post? Thanks for hosting Wendy. Hope you have a great weekend. Great features! I'm honored to have my dresser turned TV stand included! Thanks for hosting! Great features. The wallpaper ceiling rocks. Thank you so much for hosting this fun party. It is finally showing up, thanks again for hosting! 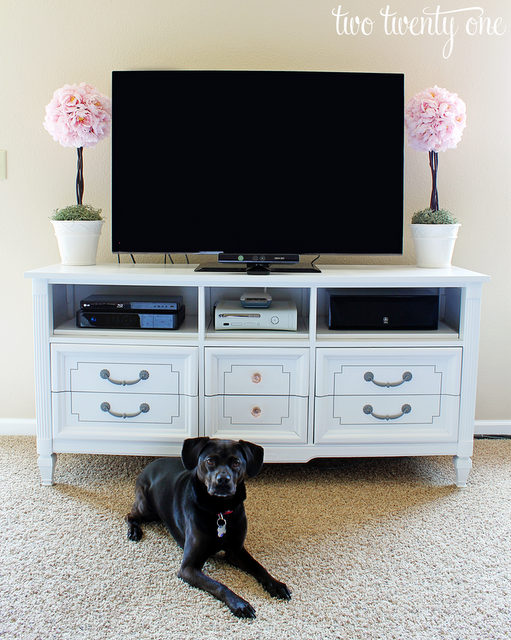 I love that dresser turned tv console! Especially the design she did on the drawers. Thanks for hosting a great party and have a wonderful weekend! Thanks for the super party...awesome features too! Hello-thanks for the party! I've been trying to avoid sodas and come up with no/low calorie alternatives. Today, I am linking up my Fresh Lime "Gritzer (#211) that is low calorie and tasty. I hope you enjoy. Thanks again! That wallpapered ceiling is AWESOME! Thanks for hosting! Thank you for hosting this party and giving other bloggers a place to share their projects! Have a great weekend! Thank you for hosting every Friday! Thanks for hosting!!! Have a wonderful weekend!